Sign up for specials, promotions, news and more. 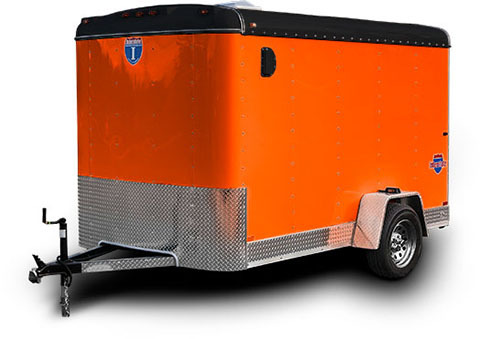 Tradesmen, business owners and sports enthusiasts throughout the country have come to know and appreciate the convenience, style, versatility and quality construction of Interstate trailers. Many Interstate owners use their trailers for both work and play. So whether you're hauling tools and supplies to the worksite on Monday or motorcycles to your favorite mountain get-away spot Friday afternoon, there's a multi-functional Interstate trailer designed to meet your hauling needs. We have 41 TrailersPlus stores and 3 manufacturing plants across the country. Our TrailersPlus network is never far away. 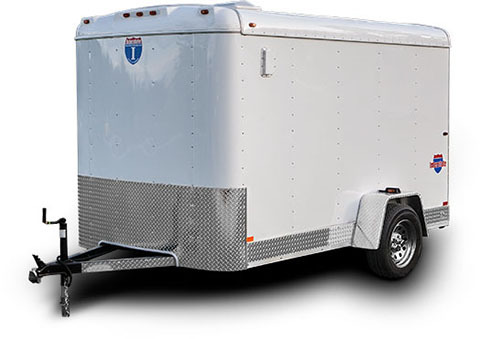 Interstate's enclosed cargo trailers range in width from 4 to 8.5 feet and from 6 to 32 feet in length. Click one of the Interstate Shields on the right to find trailers for sale at your nearest TrailersPlus. Color shown is for example purposes only. Actual color, trim and finish may vary. 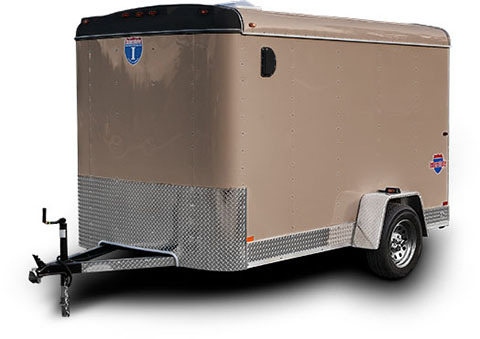 We understand your money needs to go as far as your trailer. 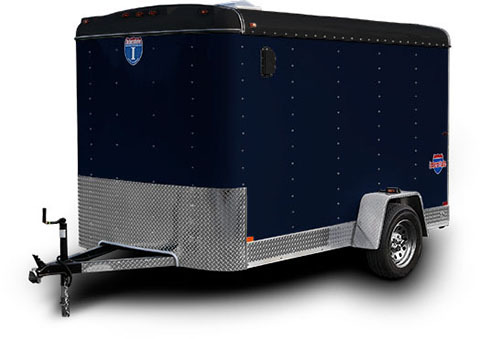 We're confident that our commitment to strength, durability, safety and price will make your Interstate trailer purchase a wise investment. 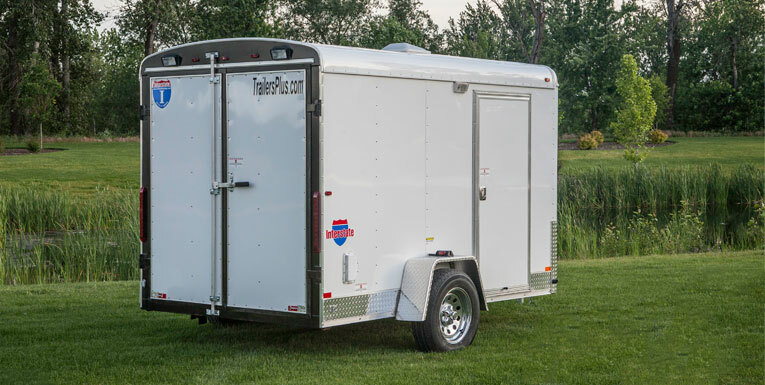 To learn more about the construction of our trailers. Click a circle # below for more information. LoadRunner and Pro Series models feature a "self healing" (chip proof) asphalt-based undercoating. We use high-quality doors for strength, appearance, convenience and security. RV door options are available. One-piece aluminum or galvanized steel (depending on model) with asphalt-based roof tape. Our structure is strengthened by 1 1/4" tube steel runners through the ceiling. All steel framed construction make our doors, vents, and windows strong and durable. Let our highly-trained staff help you find the right trailer for your needs. We invite you to call us at (877) 808-5447, or come by one of our 48 stores across the USA! We'll get you hooked up and hauling on down the road! Stay Connected! Get specials, promotions, and more delivered to your inbox. Be part of Interstate's Facebook Community! Subscribe to Interstate's YouTube Channel!